Product code: VM992B Categories: Home Living, Kitchen Aids. This compact and lightweight kitchen aid is ideal for users with a weakened grip or limited dexterity, as well as those who want to avoid damaging their nails when opening tins and cans. 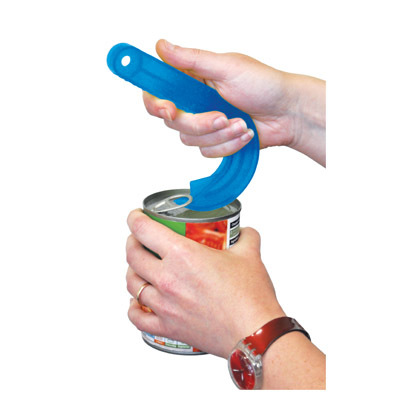 The Ring Pull Opener simply hooks under the edge of the ring pull and, with a simple pulling motion on the comfortable handle, allows you to easily peel back the ring pull and lid together. It will fit neatly into your cutlery drawer when not in use and also features a hanging loop in the handle.